Who Will Feed 28 Crore People in 2050? A research finding of the Population Council says that Bangladesh's population will hit the 28 crore mark by 2051. To his writer, this is patently a scary figure. And since we all love this country so very much, we cannot but be alarmed at the galloping rate of population growth, while all the other development indicators move quite slowly upward. Our concerns that are to be expressed below are journalistic in nature, hence it remains for the population experts of this country to answer them. Bangladesh is one of the most densely populated countries in the world, with a total area of 55,598 square miles (143,999 kilometres). Presently the density of population is hovering around 900 per square mile. Today, in this small landmass live nearly 14 crore people. But in 1971, only 7.5 crore people lived in the same landmass. The simple equation is, population has doubled in the last 36 years, but the land area has not. 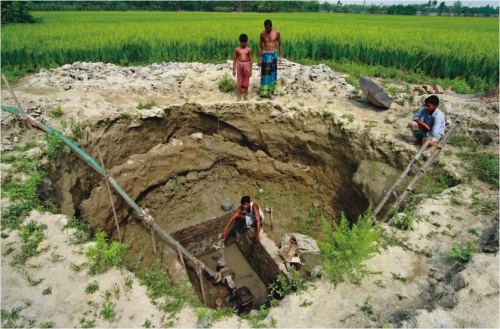 It is, rather, predicted that some areas of Bangladesh will go below the sea in the future. According to a 2005 article on the website of the Ministry of Health and Family Welfare: "With a population of 135.2 million and estimated per capita GDP at $421 in FY 2003-04 (Bangladesh Economic Review 2004), Bangladesh remains one of the poorest countries in the world and still faces severe deficiencies in the quality of its health, population and nutrition services." 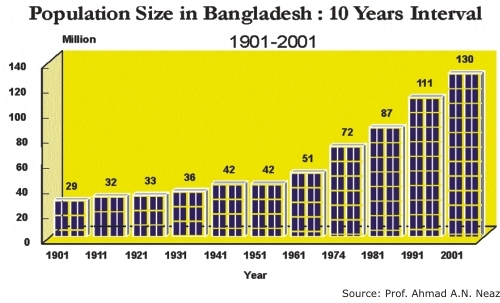 "In the 1980s, Bangladesh faced no greater problem than population growth. Census data compiled in 1901 indicated a total of 29 million in East Bengal, the region that became East Pakistan and eventually Bangladesh. By 1951, four years after partition from India, East Pakistan had 44 million people, a number that grew rapidly up to the first post-independence census, taken in 1974, which reported the national population at 71 million. The 1981 census reported a population of 87 million and a 2.3 percent annual growth rate. Thus, in just 80 years, the population had tripled. In July 1988 the population, by then the eighth largest in the world, stood at 109,963,551, and the average annual growth rate was 2.6 percent. 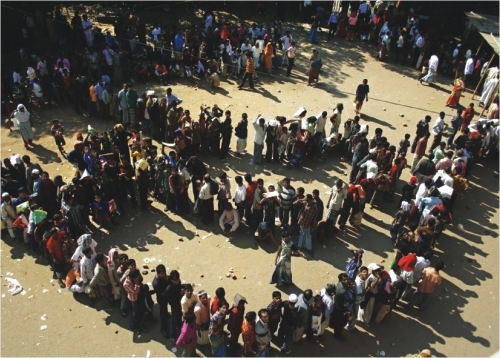 According to official estimates, Bangladesh was expected to reach a population of more than 140 million by the year 2000. The article goes on to state that the population density increased from 216 persons per square kilometer in 1901, to 312 person in 1951. Given another 50 years, in 2000, it was projected to exceed 1,000 persons per square kilometer. Now, let us try to comprehend the scenario in the next 36 or 40 years. Will population growth rate by some miracle come down to zero, therefore, will it be still 14 crore then? No, because experts like Population Council has already said that population of Bangladesh will almost double by 2050. It would reach over 28 crore by then! On the other hand, The Ministry of Health and Family Welfare predicts 25 crore around 2080. So, the questions that come to mind are: Where will these millions of people find land to set up habitat for themselves? If the present size of the cities and towns double in 2050, will there be enough farmland to grow rice and vegetables to feed 28 crore people? Where will they find fresh water to drink and cook food? Will there be enough water-bodies left to breed fish to feed 28 crore people? Will there be any forest left by then? What would be the nature of environment and ecology under these circumstances? the existing real life scenario tell us that we are looking at a very bleak future. Maybe out of fear we are not really looking at the future. Maybe we are just keeping our heads buried in the sand hoping that the spectre of a burgeoning population would go away soon. But will it? These are the kinds of questions our journalistic minds will ask, and it is the responsibility of the politicians, policy-makers and experts to come up with factual answers based on the ground reality. But it is widely felt that questions concerning the growing population make most of them uncomfortable, and they often fumble for answers. They try to explain it as "asset" or "human resource." But can millions of malnourished, uneducated, and unskilled people really be much of a resource? Where shall we have that many educational and skill development training institutions to turn them into a resource by 2050? Will this country progress at lightning speed in the next 42 years and be able to employ the millions of unemployed? Facts and figures tell us that population growth is going haywire without pragmatic policies, shifts in policies (e.g. from domiciliary to clinic-based service), lack of implementation of whatever policies are there, lack of initiative from the officials concerned, lack of motivation and drive from the field staff, and multi-faceted obstacles coming from some quarters in society that are against family planning. As a result, about 25 lakh newborns are being added to the population every year. Do our food, education, health, housing, water, electricity and employment policies integrate these realities in the yearly review? Do our politicians and government policy-makers feel the urgency to think about the situation in 2050 and beyond? For academic purpose, let us take a look at the population policy of China and India and see what these two countries are doing to check the growth. Presently, the world's population is estimated at 6.6 billion. And China's population today stands at 1,321,851,888 (as of mid-2007), thus making it the world's most populous country, home to 20% of the world's population. One in every five people on the planet is a resident of China. Experts believe China's population growth has been somewhat slowed by the "one child policy," in effect since the 1970s. In the 1950s, China's population was estimated at 563 million. The country reached the 1 billion mark in the early 1980s. On the other hand, it is estimated that in a few decades, India, the world's second most populous country, is expected to surpass China in population. In 2040, India's population is expected to be 1.52 billion, and China's will be 1.45 billion. Thus, India will become the world's most populous country. As of 2005, India has a total fertility rate of 2.8, well above replacement value, so it is growing much more quickly than China. China first implemented the "one child" population policy in the 1970s against the backdrop of poverty and famine and growing concerns over whether the country could continue to feed its burgeoning population. The policy strictly outlined that urban couples should (read: must) have only one child, but those in the rural areas, where 80 per cent of the population lives, may have two children but they should delay getting married and also space their children. The harsh side of the policy was that officials were often over-enthusiastic in implementing it and punished anyone violating e the rule. In some cases they forced pregnant women to go for abortions. On the other hand, single-child couples were entitled to better child-care, housing facility and even cash bonuses. These steps generally worked thereby lowering fertility rates to an average of about two children per woman, down from more than five children per woman in the 1950s. According to Chinese family planning officials, the child policy has prevented 400 million births, since the regulations were introduced in the 1970s. It is believed that China has kept its population in check "using persuasion, coercion, and encou-ragement." But it is made clear that the policy will not be relaxed to allow couples to have more children. This sounds like a piece of good news. But according to some western critics and western-educated Chinese academics the policy "was a mistake and might result in a number of serious demographic problems in the future." Senior officials of the National Population and Family Planning Commission of China observed: "Because China has worked hard over the last 30 years, we have 400 million fewer people. Compared with the world's other developing countries with large populations, we have realised this transfor-mation half a century ahead of time." Now this is a food for thought for everyone in other under-developed and developing countries where overpopulation is a big threat to the environment, ecology, law and order, security, food production and supply, land distribution, employ-ment opportunities, poverty allevia-tion, water resources, waste disposal system, health care, sanitation, and so on. While many Chinese and foreign academics agree and appreciate that China has managed to limit its population growth successfully, academics like Prof. Wang Feng of the University of California believe this reduction is mainly due to a fall in the fertility rate in the 1970s, rather than any more recent initiatives. Whatever the reason, the fact remains that China has 400 million less people today than it might have had otherwise. It is believed by other scholars that the fall in fertility rates is, at least partly, due to improving social and economic conditions in China. Family planning experts are of the opinion that many other Asian countries like Thailand and South Korea, literacy, employment, modernization, and lifestyle have encouraged women to take fewer children without following any China like strict family planning policies. Chinese officials further say that the "current fertility rate is between 1.7 and 1.8 births per woman, well below the 2.1 births needed to keep the population at a stable level." The opposing view to the Chinese official claim is that this will result in having increasing proportion of older people, a smaller workforce, and a disproportionate number of boys to girls. Well, there may be some side effects, but the fact remains that China has managed to prevent the birth of an extra 400 million. That alone is enough to come to the conclusion that the world is slightly better off without that many extra mouths. Theory may say a lot of things, but reality says the opposite. Feeding 400 million extra mouths would have taken a massive toll on China's economy. India's population of approxi-mately 1.13 billion people comprises approximately one-sixth of the world's population. India is expected to overtake China by 2030 and will then be the most populous country in the world. Many experts theorise that India will be the first country to hit the 2 billion mark. Although India occupies only 2.4% of the world's land area, it supports over 17.5% of the world's population. 31.8% of Indians are younger than 15 years of age. According to one source: "In 1952, India was the first country in the world to launch a mass media campaign to spread the concept of family planning in response to its ever growing population. Most developing nations soon followed suit. While the campaigns have had varying degrees of success, they have made a significant impact overall. "The current projections predict that India will overtake China's position as most populous nation by 2050. However, India's total fertility rate has declined by more than 40 percent since the 1960s, and today the average number of children per woman is around 3 (three). The country's most recent approach to population issues focuses on the advancement of women economically, academically, and socially, as independent women are more likely to have small families. This is a change from the darker days of India's population policy. In the 1970s, the government declared a population 'state of emergency,' began implementing forced sterilizations in the nation's poorest regions, and even rewarded medical workers who performed the most operations. The national focus on sterilization hindered women's acceptance of family planning, as many considered birth control an all-or-nothing proposition and chose to forgo it entirely. 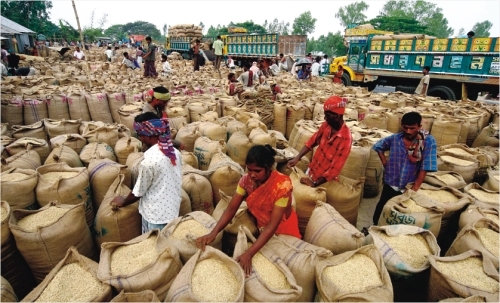 Bangladesh at the moment is faced with a number of problems like rising food shortage; shrinking of farmland and water bodies; depleting forest resources; wide-spread health problems like malnutrition and tuberculosis; and social problems like increasing number of unskilled manpower, increasing rate of unemployment, and an increasing number of unemployed youth getting involved in criminal activities. Poverty is forcing poor people to sell off their small piece of land and migrate to the cities in search of work. These problems cannot be seen in isolation because these are leaving their mark on our overall development process. To check the imminent population explosion, government, NGOs and international development partners have to work in a concerted manner, taking all the social and economic factors into consideration. As for the country's population control policy is concerned observers notice anomalies in facts and figures given by various organisations and agencies and individual researchers. Even MOHFW agrees that: "After declining rapidly in the 1980s, the Total Fertility Rate (TFR) seems to have remained unchanged for most of the 1990s at 3.3 children (BDHS 1999-2000), although different surveys gave different results." We believe such anomalies need to be removed so that we can have a clear picture of the enormity of the problem. In the words of MOHFW: "Further efforts are needed to shift family planning use patterns towards more effective, longer lasting, and lower-cost clinical and permanent methods covering low performing and disadvantaged areas with added emphasis. But the major impact on fertility will be achieved by raising the age of marriage, which will push up age at first birth, and again trigger a tempo effect, to bring fertility down. Bangladesh has great scope to reduce early marriage, where at present 50 percent of teenage girls (15-19) are married, compared to only 33 percent in India, 25 percent in Pakistan, and far fewer in other comparable countries." Having said it all, the bottom line is, we have to leave aside any romanticism we may have as far as population is concerned and tackle it with strong determination. Shahnoor Wahid is Senior Assistant Editor, The Daily Star.